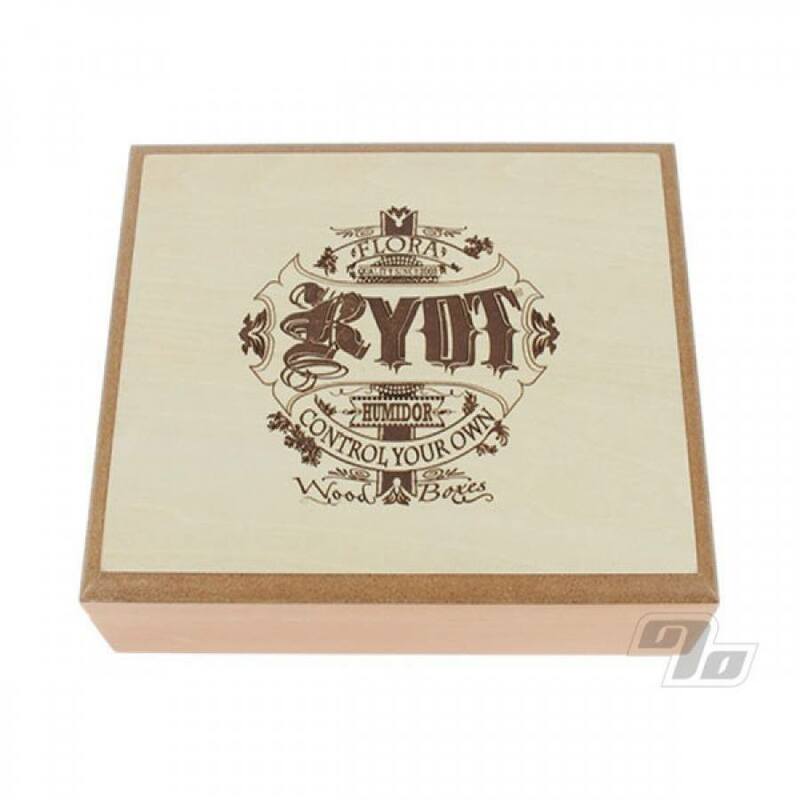 Classy box for your hand rolling supplies. 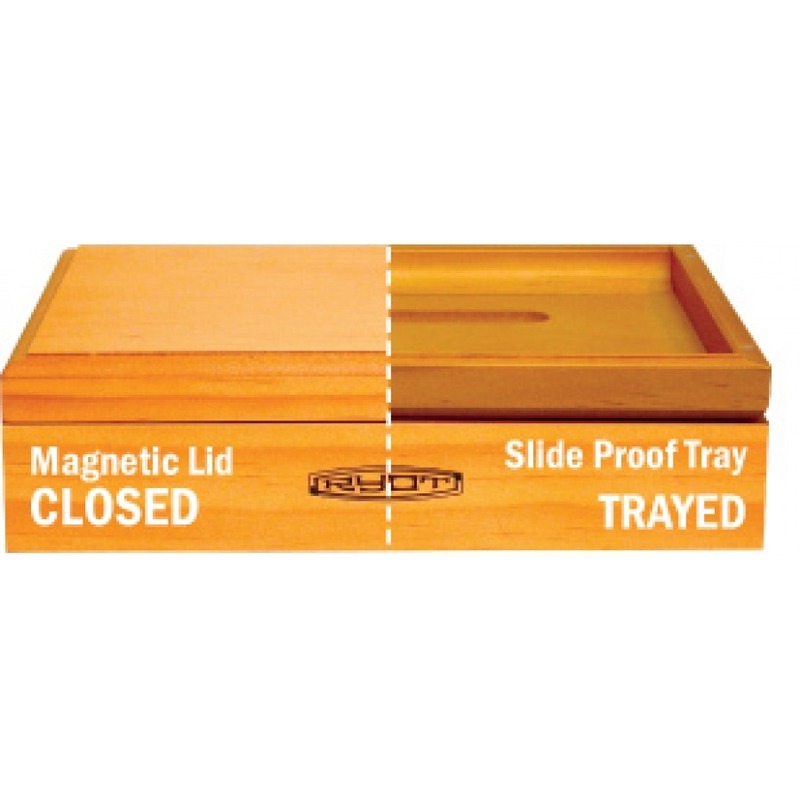 6" by 8" solid wood Smoker's Box with magnetic flip-top lid that converts to a handy rolling tray. 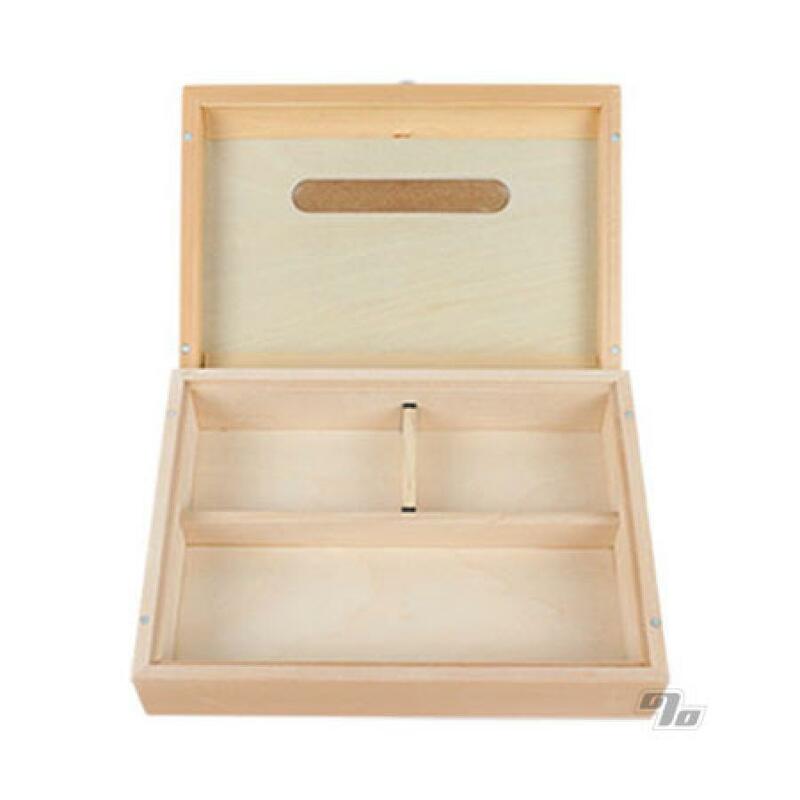 Compartments for easy storage of essentials such as rolling papers, filters, a grinder and even most portable vaporizers like the Magic Flight. 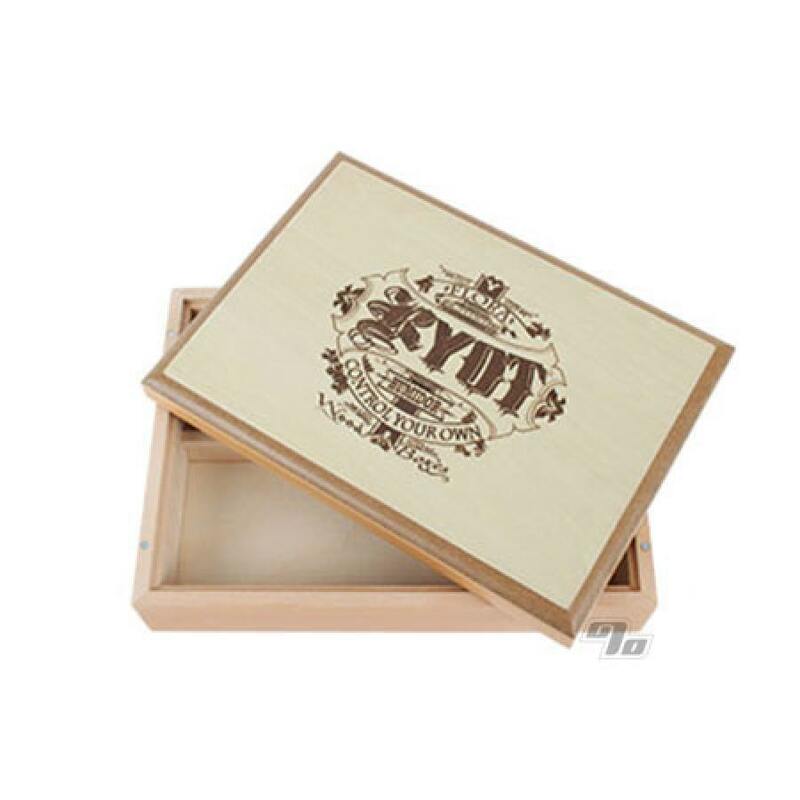 Clear natural stain and now with classy RYOT crest laser engraved on the top. Exact dimensions: 8.5" x 6.25" x 2.25"
I've had mine just over 2 years now. This is a great box. I probably re-arange how I keep things in this every few months and it puts up with all of my abuse. The magnets still hold the lid on solidly and it's in great shape. The site is currently sold out on these but I hope the get some more because these would make great gifts. 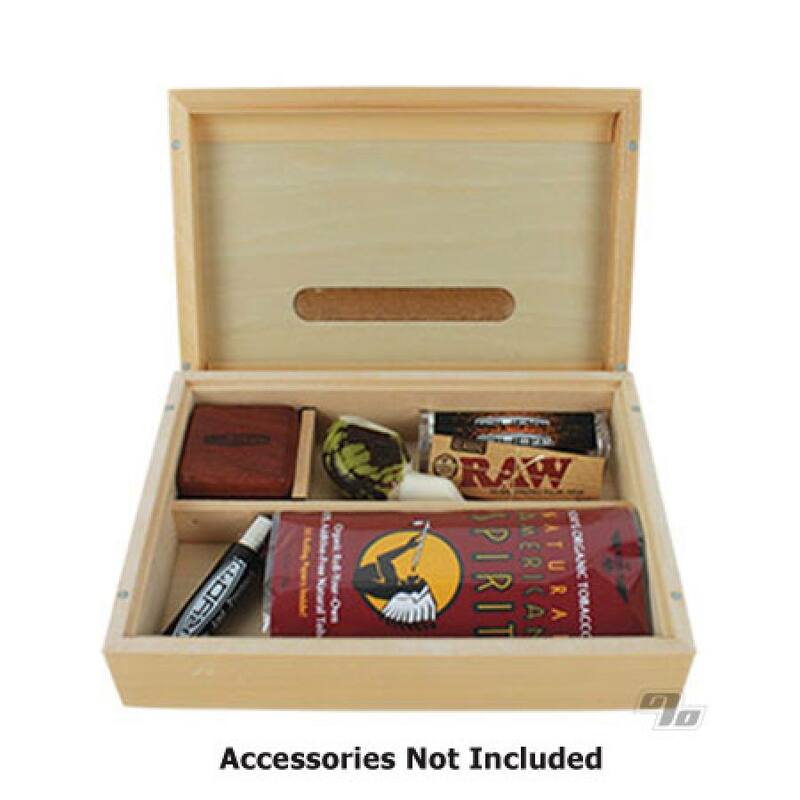 Gorgeous multifunctional alternative to your cigar box stash. Really really good quality. Beautiful wood and engraving. Magnet-seals and a badass rolling tray on the flipside of the lid. You will show it off to your friends at your next smoke session. misleading, but not too shabby!! The online pic of the box was not the same as the one I recieves. The one in the pic was light wood, the one I received was a dark cherry wood. But I'm happy to say I like it even better very smooth. Almost like u instantly upgraded me! Helps keep stuff stashed away, hidden from guests and unexpected company. They didn't send me the exact one in the picture, but a light wood lacquered one with Ryot imprinted on the top, pretty nice still though. Holds everything efficiently. Perfect size... and nicely made... Attractive, too.